Context: My dad gave me this for Christmas so it was appropriate I finish it off at his place where, over the road, they’ve laid out the foundations of the new estate that’s being built. This got good reviews and won the Booker Prize so I was happy to read it. It’s the second Banville I’ve read after the uninspiring Newton Letter which I didn’t much enjoy. I had higher hopes for this book. Unfortunately, it didn’t measure up to them. And so, it’s inevitable. From the start you’re waiting, somewhat impatiently, while Banville dangles images of skeletons in the closet of the narrator’s oh-so-dreadful past before you. By the time they are revealed, I felt little sympathy for the narrator. In fact, at times, that I wanted to give the narrator a good slap and tell them that people get over far worse. Also annoying for me was the sprinkling of obscure lexis. It’s almost as if he’s been reading through the dictionary and thought, ah yes, that word needs getting down from the shelf and giving a polish. Trouble is, that unless the reader understands it too, no one gets it. Not that I’ve anything against coinage. That takes genius a la Clockwork Orange. But to pack what is a very short novel with a term every few pages that I defy the average reader to have any idea of, seems to me to be pretentious (and I’m not the only one it seems.) If anyone wants a challenge, check out this list of his vocab. The book jumps from the past to the present and back again in a tired formulaic way. The characters are all ephemeral, again, in a tired formulaic way and there’s an attempt at a little character twist which I saw coming long, long before. 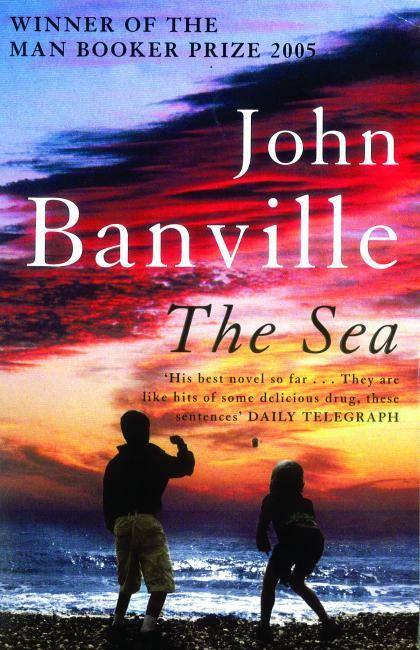 You can tell that Banville is trying his best here but it just doesn’t measure up to all the hype for me – especially when it comes to bagging the Booker Prize. I don’t think this should have beaten Never Let Me Go to the post at all. Ishiguro’s work isn’t his best but it’s better than The Sea. When you find out that Banville narrowly lost out to Ishiguro’s Never Let Me Go previously, light dawns. Oh dear, we can’t have Ishiguro winning over Banville twice now can we? Well he’s a better writer by far so get over it. If you want the angst of ageing men, tinged with regret and pathos, then read Bellow, Coetzee or Toibin. In my opinion, The Sea is a novel for the literati. They departed, the gods, on the day of the strange tide. Perhaps all of life is no more than a long preparation for the leaving of it. A nurse came out to fetch me, and I turned and followed her inside, and it was as if I were walking into the sea.